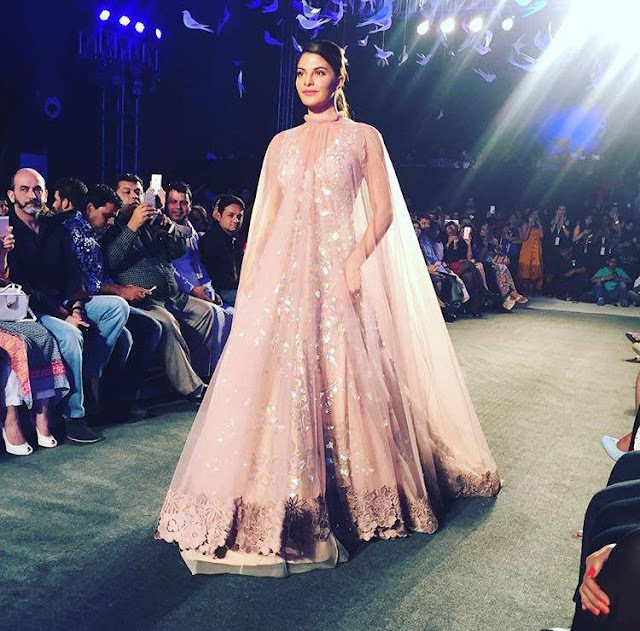 Manish Malhotra opened the Lakme Fashion week Summer Resort 2016 . The collection which was titled 'Elements' inspired by 4 elements of nature was dreamy and glam. I loved the soft colours and the indo western silhouettes presented for the modern summer bride. What did I love most? It was the show stopper outfit, Jaqueline fernandes walked ramp in. 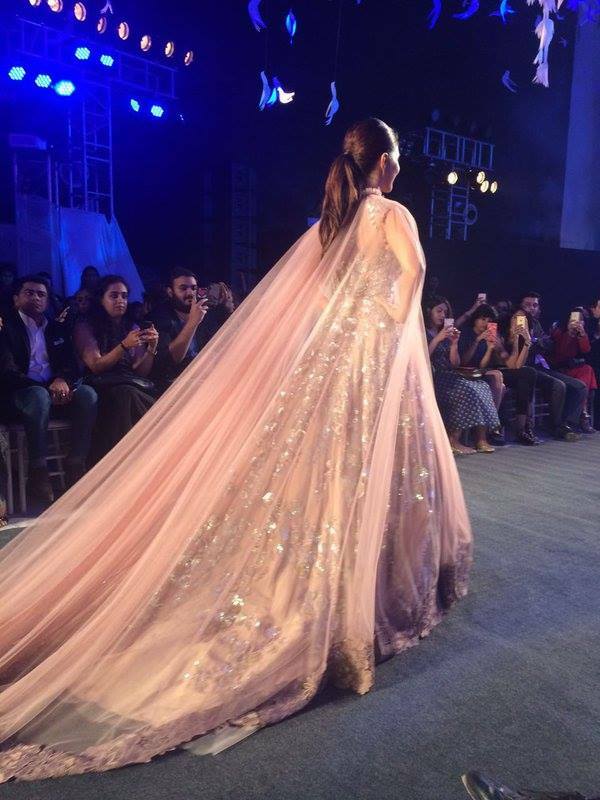 The soft pink Manish Malhotra gown Jaqueline Fernandes was wearing was both dreamy and romantic and the addition of a sheer full length cape with a trail was master stroke. Super love. This shimmery princessy gown is perfect for summer brides of all kinds, Muslim, Hindu and christian. What do you think about this ensemble?